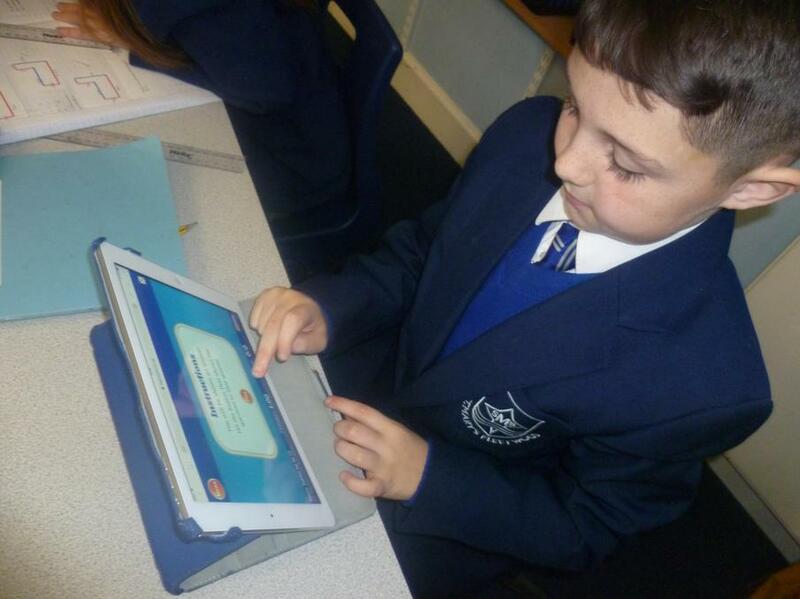 Year 4/5 - Using the Purple Mash app to create leaflets about Fairtrade. 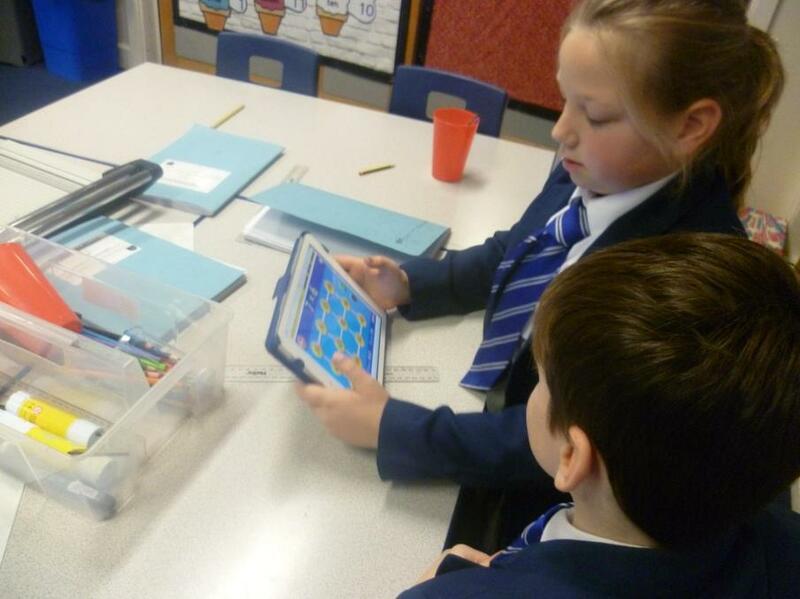 Year 3/4 Michealangelo class using the Purple Mash app. 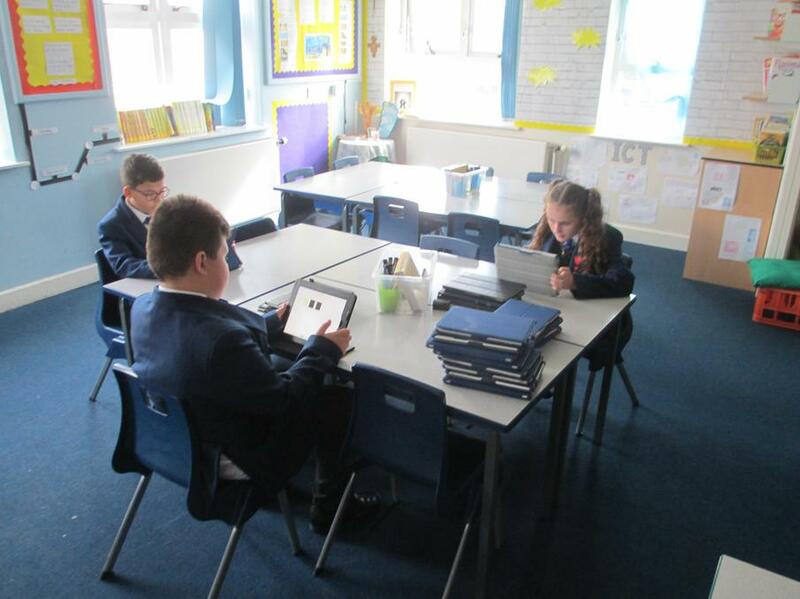 Banksy class using the iPads and computers to link with the ELG understanding the world. 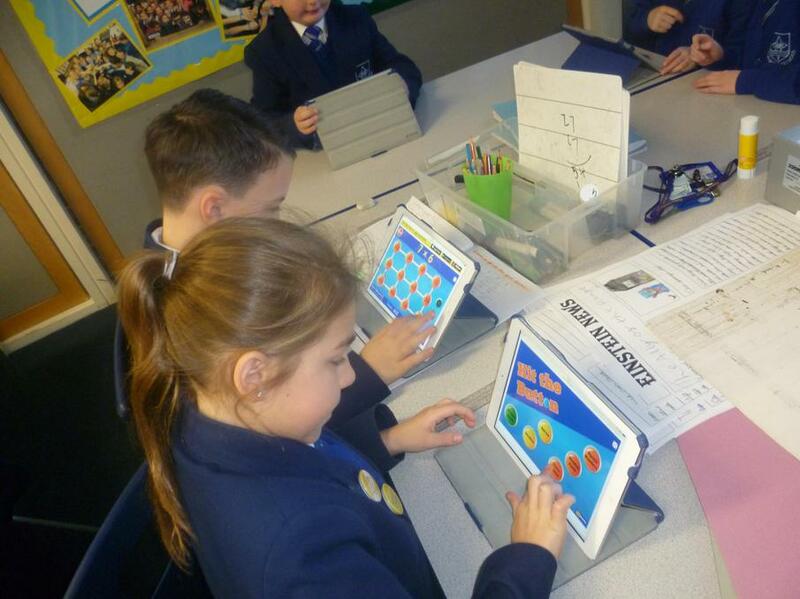 Year 4/5 using computers to help expand our Scientific Minds! 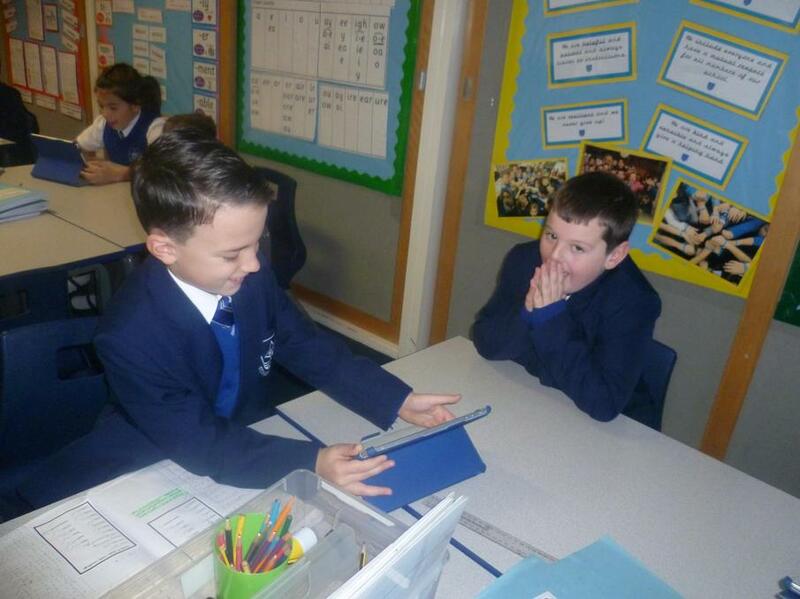 Year 4/5 creating fact files about God's helpers. 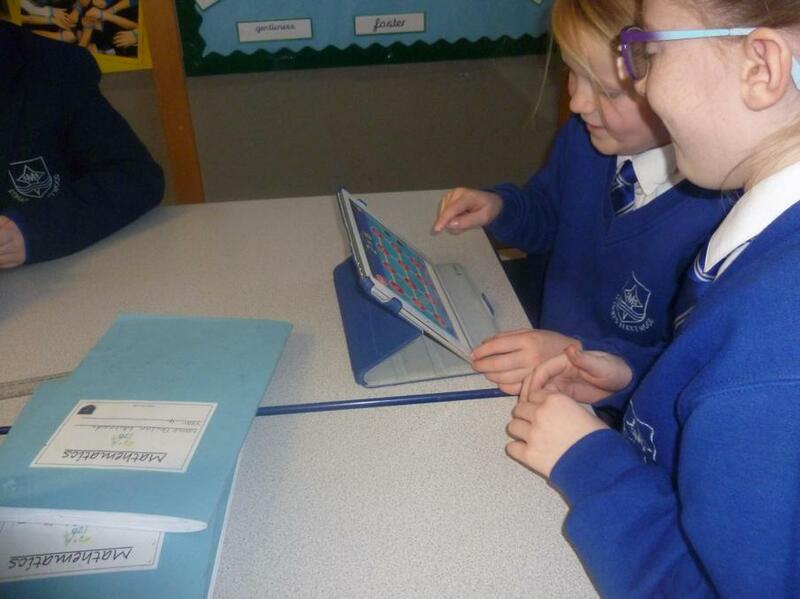 The leaders checked that the iPads are being used appropriately. The leaders checked that all the laptops have been plugged back in. The leaders checked that all tabs and apps were closed down after they had been used. 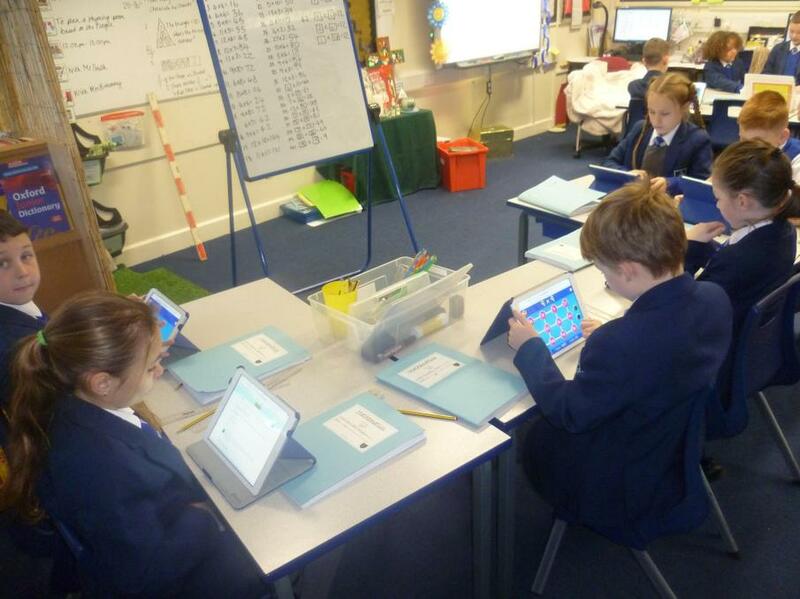 Year 5 use Microsoft word to create fact files to support their learning about rain-forest animals. 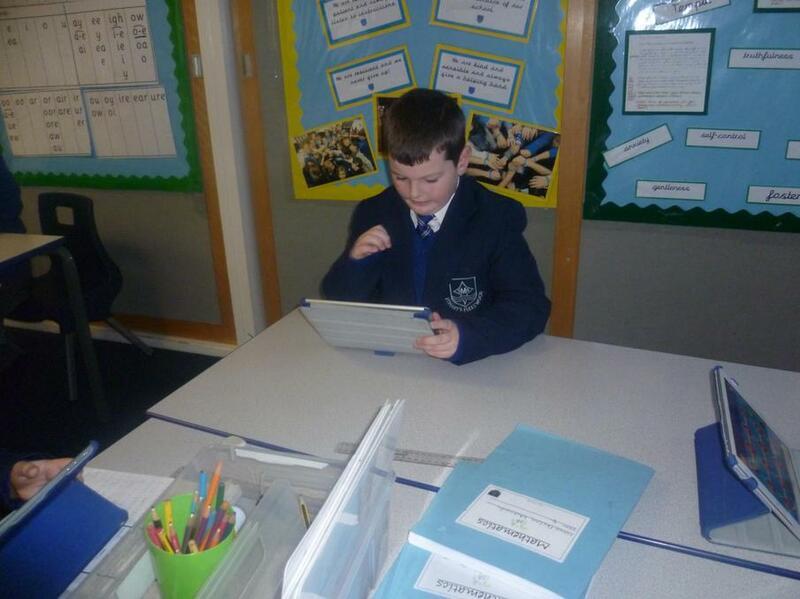 Using Purple Mash on the I pads to write about the functions of the skeleton in year 3.